»Culture & Arts»Dublin Bear Pride Begins: Fundraiser – On The Game! 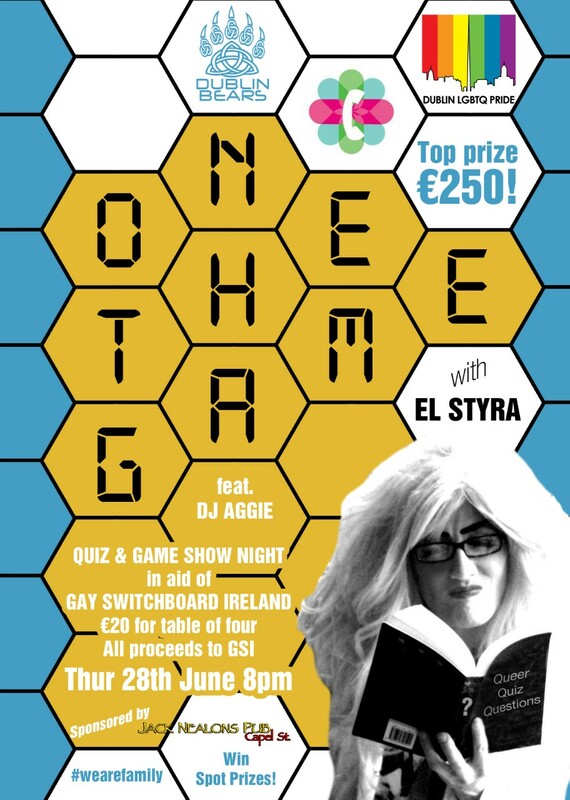 Dublin Bear Pride begins today (28th) with a Quiz & Game Show Night fundraiser for one of their favourite LGBT+ voluntary groups, Gay Switchboard Ireland, at Jack Nealons in Capel Street, Dublin 1, at 8pm. With DJ El Styra and DJ Aggie adding to the fun, you could win the top prize of €250, while supporting a very worthy cause at the same time. and in EILE Magazine May/June 2018, just click on the magazine icon at top of page. ← Out Now! EILE Magazine’s May/June 2018 Edition – FREE!